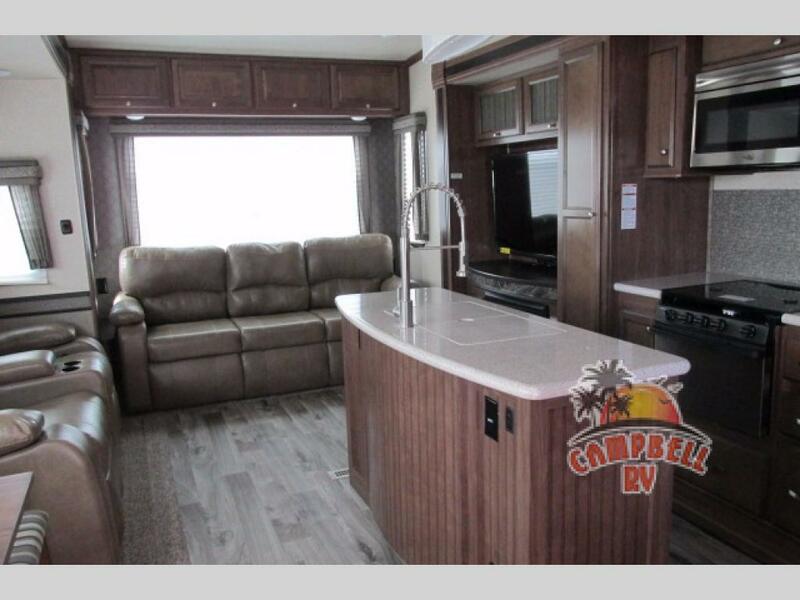 If you have a large family, a lot of friends or just prefer more space, the Heartland ElkRidge 5th wheel for sale is a perfect fit! With space to sleep up to 9 loved ones, the ElkRidge 5th wheel has the space you need without sacrificing any of the perks that a fully loaded camper can hold. 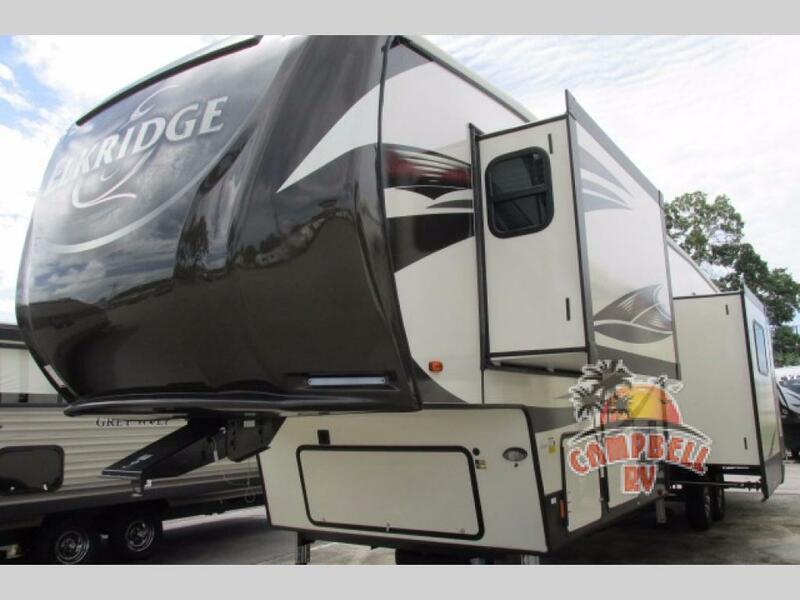 Explore the ElkRidge 5th wheel and see for yourself! Explore the space and amenities in the Elkridge 5th wheel. Full size double door refrigerator. Kitchen island with sink for extra prep space. Plenty of cabinet storage for dishes and non-perishables. Enjoy time together in this living and kitchen area. Not only do you want to have fun on vacation, but you also want to come back to the real world rested and refreshed. That requires a comfortable place to sleep. The Heartland ElkRidge 5th wheel for sale has not only a master suite with a king size bed, but also two other sleeping spaces. There is a second bedroom/bunkhouse or office/den space that features a sofa slide out with a bunk above, storage and a flat screen TV. 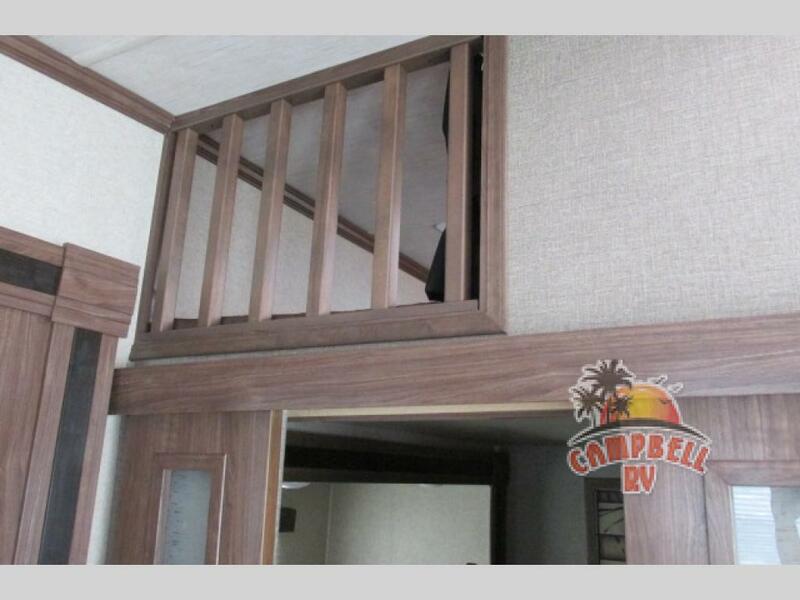 Above this bedroom there is a super fun loft that the kids will spend hours NOT sleeping in. The loft space “sleeps” two giggling children comfortably. The extra bedroom/den and fun loft are added bonus’. Let’s talk about the extras that give the ElkRidge 5th wheel a nudge past the others. There is a nice size bathroom that includes shower, a sink with overhead medicine cabinet, linen storage, and a toilet. There is bountiful storage inside and more storage accessed from the outside. Throw in an optional outdoor kitchen and you will have everything you could possibly want in one wonderful camper. It’s the extras like storage that make all the difference! Well folks, that’s the grand tour of the Heartland ElkRidge 5th wheel for sale! 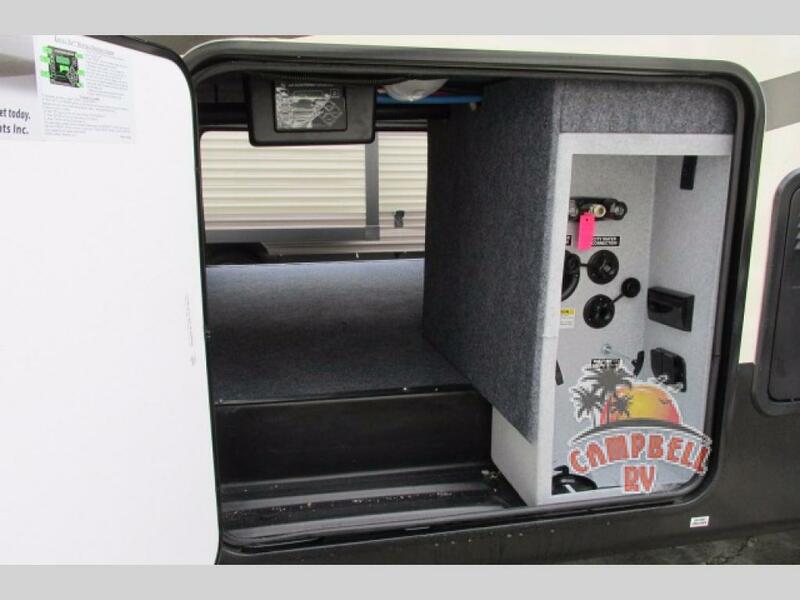 When you are ready to take a live tour of one of these magnificent camper, come on over to Campbell RV. Contact us today and we will get you on the road to your next adventure!